The UCLA Asian American Studies Press is the only press in the world committed to publishing scholarship on and the histories of Asian Americans. 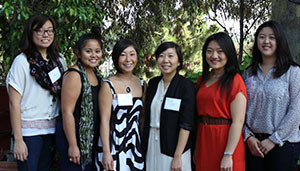 It serves as the publications arm of the UCLA Asian American Studies Center, the premier research and teaching institution in the field of Asian American Studies. The Press publishes award-winning books, memoirs, and anthologies on race relations, war and peace movements, religion, activist politics, gender and sexuality, community history and settlement, literature and the arts, and transnational societies and the Asian diaspora. 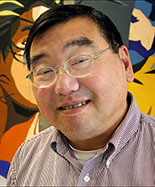 The Press releases Amerasia Journal, the leading scholarly journal on Asian American Studies, as well as AAPI Nexus Journal, community directories, and almanacs. We publish to counter the failure of books and scholarship to recognize the histories and experiences of the East Asian, South Asian, Southeast Asian, and Pacific Islander peoples who live and have lived in the United States. 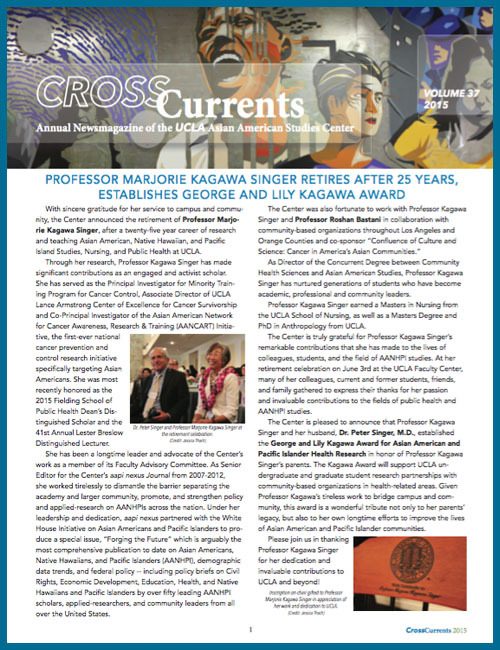 We publish in the spirit of the Asian American movement of the '60s and '70 -- fostering education and building research relevant and responsive to the needs of our peoples and communities. We publish because the stories and views of Asian Americans are essential parts of the American experience and history. We publish because these are our issues, our histories, and our stories to tell.